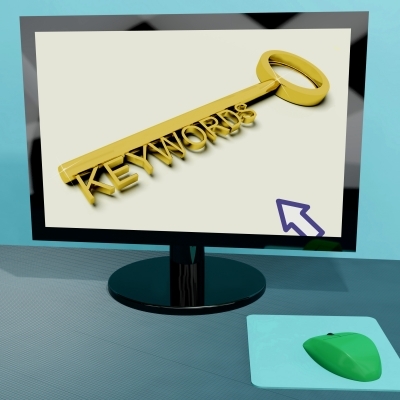 Keyword research for SEO and SEM is a hot topic. A simple google search for the term provides more that 18,10,000 results. There are many paid and free tools available to do keyword research.In this blog post, I will concentrate on Google Trends as a tool for keyword research. Google Trends shows the search volume in a relative scale. It shows how a search term is searched in Google relative to the total search volume. The beauty of this tool is that it allows comparison between multiple terms. Added capabilities of Google Trends include selection of date for search volume, inclusion of news related to the search term and so on. So how to include Google Trends in your market research? The important aspect of Google Trends is that it provides the historical information and how the search volume has changed across years. This gives us an idea about not only the trend and volume; but also to learn about any seasonal effects. For example, consider the below chart. It shows the search volume trend for ‘buy AC’. As we know the sales of air conditioners are most during summer days. And the trend validates that. A look at the geography map, most of the searches come from northern part of India where the affect of summer is more. Let’s consider another example. If your business concentrates on publishing audiobooks, one of the keyword to focus on would be ‘audiobook’. However there may be three other possibilities – ‘audio book’, ‘audio books’, ‘audiobooks’. Google Trends help you to have simultaneous analysis of how these keywords do in terms of search volume. Another use case is the location of words in a search phrase. Let’s consider for example ‘quality management consulting’ and ‘consulting quality management’. As we can see there are variations in search volumes for each and we may choose one over the other based on trend. Finally the important benefit of keeping a track on Google Trends is for Content Marketing. It helps in two fronts – to keep an appropriate calendar following the trend and developing content marketing themes based on rising/top keyword volumes. If you are in search marketing domain, I am sure you would have come across Google Trends being used as a keyword research tool. Of course one of the utilities of Google Trends is keyword research, but it has a wider utility of being a market research tool. For example, if you look at the chart for audiobooks from above example, we can see searches for ‘tamil audio books’ is rising at a staggering 450% . If you are a business focused on publishing audiobooks, you may want to increase number of Tamil titles. Let me close this post by providing another interesting use of Google Trends in keeping a track of key brand keywords. If you are the digital marketer in one of the leading online travel sites, this is a chart that you will ponder about. It shows ‘yatra.com’ as a search term decrease over time drastically and ‘makemytrip’ gained the leadership position over time.